Conservatives have an amazing skill for picking and choosing which facts to use to support their beliefs, and have absolutely no difficulty promoting contradictory claims if it supports their cause. Conservatives ignore the predictions of the Congressional Budget Office which show that the public plan would not be a threat to private insurance companies. They had no concern about their predictions as to the cost of the Iraq war. They certainly don’t pay any attention to their predictions that tort reform would not significantly reduce health care costs. On the other hand they promote the report which says that savings will not fund health care reform. Besides the contradiction of picking and choosing which CBO reports to pay attention to, conservatives fail to realize that one reason the CBO minimizes savings is that the bill does not give the government all that much power to lower costs. In other words, endorsing the CBO report contradicts conservative claims that the proposed health care reform would amount to a government take over of health care or socialized medicine. Conservatives oppose those measures which would lead to greater savings. The Congressional Budget Office’s consistent forecasting errors arose not from any partisan bias, but from its methods of projection. In analyzing initiatives meant to save money, it helps to be able to refer to similar initiatives in the past that saved money. When there aren’t enough good historical examples to go by, the estimated savings based on past experience is essentially considered to be unknown. Too often, “unknown” becomes zero — even though zero is not a logical estimate. The budget office has particular difficulty estimating savings when it considers more than one change at once. For example, last December the office reported that it found no consistent evidence that changes in medical malpractice laws would have a measurable effect on health care spending. It also reported that increased spending on studies comparing the effectiveness of different drugs and medical treatments would yield no net savings for 10 years. Yet if both malpractice reform and comparative effectiveness studies were instituted simultaneously, they might work together to yield substantial savings; doctors would gain more confidence in the effectiveness of less aggressive treatments and, at the same time, could use those treatments with less to fear from lawsuits. The budget office’s cautious methods may have unintended consequences in the current health care reform effort. By underestimating the savings that can come from improved Medicare payment procedures and other cost-control initiatives, the budget office leads Congress to think that politically unpopular cost-cutting initiatives will have, at best, only modest effects. This, in turn, forces Congress to believe it can pay for reform only by raising taxes, which then makes reform legislation more difficult to pass. The most likely reality is somewhere between the CBO report and the overly optimistic claims of the Obama administration. The CBO’s methodology has prevented them from considering health care savings from the proposed legislation–just as their methodology prevents them from recognizing savings which might come from tort reform–as there is no way to accurately measure the savings at this time. The proposed measures will ultimately save money, but it will also be necessary to spend more at first for measures like expanding preventive care and promoting computerization of medical records. Health care reform will probably save money, but I do not believe the savings will pay for the proposed measures. The American Diabetes Association recognizes there is a lot of information and opinions on health care reform. There are also a number of myths that need to be addressed and understood so that everyone can move on to the most important issue of expanding access to quality, affordable health care for people with diabetes. Some of the top myths are discussed below. MYTH: Health care reform will lead to negative changes in diabetes coverage and care. FACT: Health care reform will protect people with diabetes by requiring all health insurance companies to accept all applicants for health coverage regardless of pre-existing conditions. Under health care reform, if you are happy with your current health care team and wish to keep your health insurance plan, you can do so. Otherwise, you can purchase health insurance in the individual market without fear of being denied coverage due to your diabetes. MYTH: Health care reform aims to ration access to health care, including diabetes services and supplies and care for Medicare seniors. FACT: Health care reform will not lead to rationing access to health care including diabetes services and supplies. Currently the U.S. spends the largest amount (and highest percentage of GDP) on health care in the world, yet we have some of the worst health outcomes. Health care reform does not aim to cut health care costs by rationing care, rather health care reform focuses on ensuring that the money we do spend on health care goes to high quality and appropriate care. Health care reform attempts to redirect spending to high quality care and reducing unnecessary, poor quality expensive sick care. Health care reform will protect Medicare patients’ access to their health care providers and reduce the costs of preventive care to help seniors live healthy lives. Health care reform will not cut Medicare benefits, reduce access to Medicare services or give the government the power to make treatment decisions for anyone regardless of age. MYTH: Health care reform will lead to government-run health care and enable the government to decide which treatments people with diabetes receive. FACT: Under health care reform, neither the government nor a government committee will be responsible for determining which health care treatments people receive from their health care providers. Decisions on how to treat and manage one’s diabetes will still be made by the person with diabetes and his/her health care providers. Under health care reform, the government will work to ensure that information about the quality and effectiveness of treatment and care options are readily available and properly disseminated to health care providers and patients. MYTH: Health care reform will make health insurance more expensive, especially for people with diabetes. FACT: By prohibiting the current health insurance practice of charging higher premiums to people with diabetes and other health conditions, health care reform will actually help make health insurance more affordable for people with diabetes. Health insurers will no longer be able to charge individuals higher premiums based on health status, race or gender; nor would be they be able to target people with illnesses or their employers for premium increases based on health status. Health care reform will also limit annual out-of-pocket costs for covered benefits, with currently proposed limits of to $5,000 for an individual and $10,000 for a family. MYTH: Health care reform won’t benefit people like me who already have health insurance. FACT: Health care reform will reduce swelling health care costs for all Americans, improve the quality of care all patients particularly people with diabetes receive by rewarding better care, prohibit insurance companies from denying coverage based on pre-existing conditions, limit the out-of-pocket spending on health care for individuals and families so that they do not go bankrupt trying to pay for necessary medical care, and provide consumers with more choice in health insurance coverage. 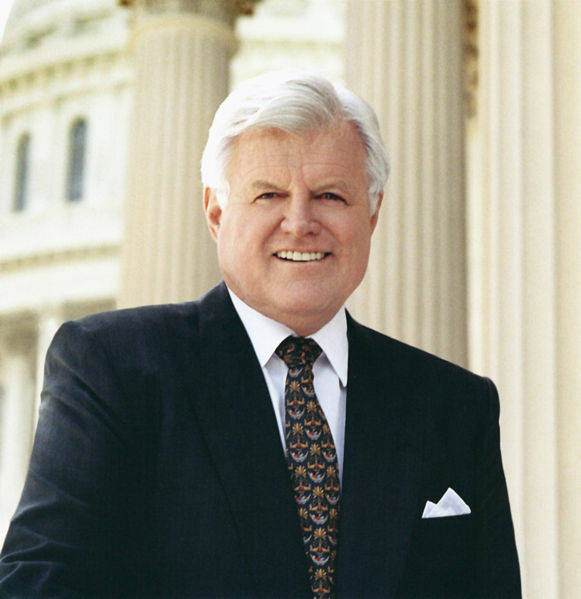 Ted Kennedy has died at age 77, over a year after being diagnosed with malignant cancer of the brain. Kennedy was first elected to the Senate in 1962 at the age of 30–a year before the assassination of his brother. During a Senate career of that length Kennedy has played a part in many issues of the past few decades but he is probably most associated with health care reform. Kennedy’s endorsement of Barack Obama contributed to Obama’s victory over Hillary Clinton when Clinton was seen as the candidate of the Democratic establishment. This was seen as a symbolic passing of the torch from his brother to Obama. Now it is up to Obama to make the affordable health care which Kennedy had fought for available to all Americans. Conservatives often oppose health care reform by claiming that the United States has the best health care in the world and that changing the system would reduce the quality. This argument has two major problems. First of all, if anything provisions being advocated would improve upon and not reduce the quality of care here. More importantly, the entire premise is wrong. The United States ranks first only if you start reading at the bottom up by many measures. An analysis from the Urban Institute looks at the evidence on how quality of care in the United States compares to that in other countries and provides implications for health reform. Authors Elizabeth Docteur and Robert Berenson find that international studies of health care quality do not in and of themselves provide a definitive answer to this question. What they do show is that the evidence for American superiority in quality of care (or lack thereof) is a mixed bag, with the nation doing relatively well in some areas—such as cancer care—and less well in others—such as mortality from treatable and preventable conditions. And while evidence base is incomplete and suffers from other limitations, it does not provide support for the oft-repeated claim that the “U.S. health care is the best in the world.” In fact, there is no hard evidence that identifies particular areas in which U.S. health care quality is truly exceptional. Addressing the American public’s widespread concern about the potential negative impact of health reform on the quality of care they currently receive, the authors conclude that reform should in fact be seen as an opportunity to systematically improve quality of care, rather than a threat to the existing system. It provides an opportunity to build on strengths and correct weaknesses in U.S. health care, working towards aims for improvement that the care provided is safe, effective, patient centered, timely, efficient and equitable. Many rankings of health care systems place the United States even below several third world countries but such rankings can be misleading. Many factors impact mortality rates beyond the quality of the health care system. Because of these problems, researchers at the London School of Hygiene and Tropical Medicine looked more specifically at preventable deaths in nineteen industrialized countries. The United States came in last at number nineteen. France, which commonly heads rankings of health care, came in first. If the United States matched the quality of the top three countries, there would be 101,000 less deaths per year. It is hard to argue that we shouldn’t change our health care system based upon such numbers.